This product offers the solution of DVD and video assistance tool. It is the combination of DVD and Video Platinum software. Therefore, with this multifunctional Suite, you can change DVD to MP4, change DVD movie to MPEG, MOV, 3GP, MP3 etc with super fastest speed. Also, it is easy to change videos and extract audio from these video. 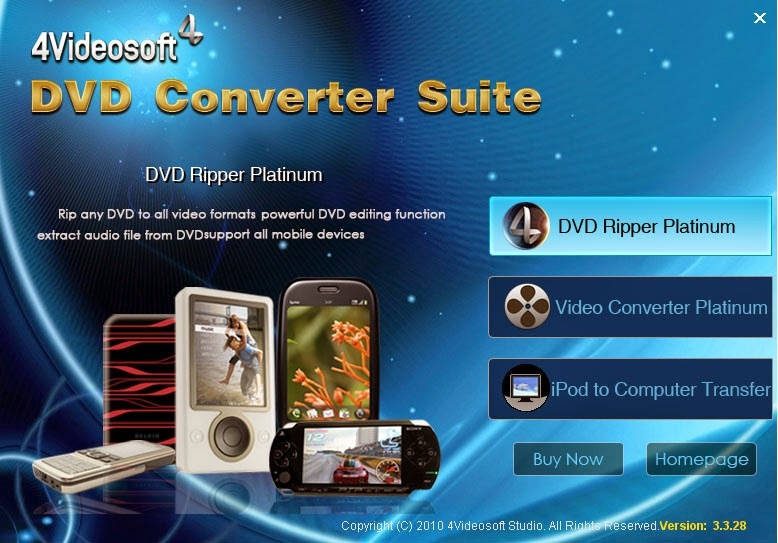 Moreover, this suite provides you more editing features, such as trim DVD movie/videos, crop and merge files into one, snapshot picture, even set the DVD movies effect, etc. All the editing functions are designed for your preference.